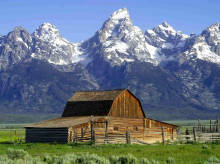 According to Bankrate, Wyoming is the best state for retirement. The primary reason for the rating is the state’s low tax rate. At just 6.9%, this rate is one that doesn’t limit seniors who are on a limited income. The state is safe, no matter what city or town you choose, with the fifth lowest crime rate in America. Two-thirds of the state is lined with mountains, while the remaining portion of the state has the High Plains. Cheyenne, the capital of the state, is one of the best cities for retirement. Although the largest city in the state, Cheyenne is home to only a population of 53,000 people, giving it the small town charm you want when you retire. Rock Springs, WY is another desirable community for retirees. Be sure to check out Yellowstone National Park, Grand Teton National Park, and Hot Springs State Park if you want to explore the best attractions in the state.